What may seem like a completely standard figure for the Super Hero theme is actually a figure with a existence that has baffled me for over a year now. 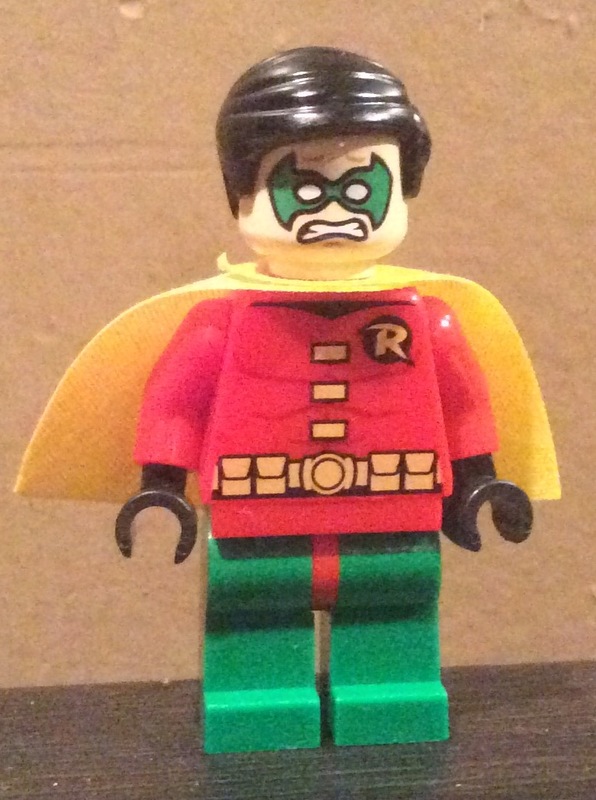 On Sept. 13, 2015, a Eurobricks member posted about how he ordered a Robin head for the figure from set #10672 from LEGO's replacement service. Except when he received it, he noticed that one face was different from the norm. It was a completely different facial expression! 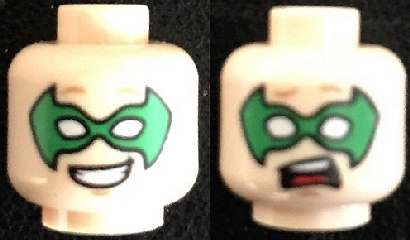 Now, there are two Robin heads that have the same mask; this one: and this one: , and neither include this expression. At that point I thought "Cool, a very unique misprint!" 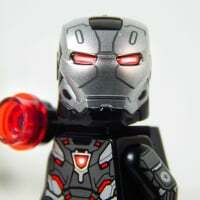 Being the Super Hero minifig collector I am, I decided I needed it for my collection. Contacting the original poster, we agreed on a price in August, but I didn't get it until the end of January (Layaway). During this time, I was nervous. What if this was actually a fake, and I spent a nice bit of money on it? Well, once I received it I felt relieved. The Lego marking was there and nothing seemed off about the printing. It seemed that I had a nice curio for my collection, something that was no different than any other printing mistakes LEGO has done in the past. At least, until I found another one by chance. What? There's more? Very interesting! That caused me to do some research and in total I found 7 (Including mine). You would think that this would make me feel bad that mine wasn't unique, but on the contrary! I knew for sure that my figure was legit. Now here is where things get speculative. Why does it exist? One was sent straight from LEGO, and others were from unopened sets; it's obviously authentic. My only guess is that the face was meant for something else, it got the axe, and then it was instead used for #10672 in its later years (Which would explain the small amount found). Note: #comcon37 uses the same Robin figure as #10672 but I found no instances of it having the different head anywhere (Which makes sense if my "They were produced much later" theory is considered, as it was released around the time as the other set). 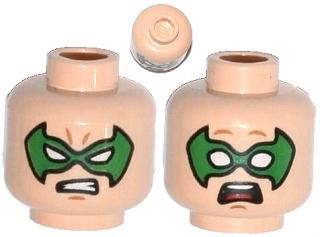 Due to the fact that this minifigure is similar to other figures that have variants from the same set, I consider it no different than any other standard produced minifigure, and thus it is the rarest one for the theme (Though not the most expensive mind you). I don't consider myself a completest unless it has to do with Super Hero minifigures. I have them all...ALL...to include all Comic Con and the original Toy Fair Cap and Iron Man. So after searching for an hour after reading this with no success I have to ask...where can I get one???? Of the 6 I'm aware of that I know of (Not including mine), you might be able to obtain 4 (The other two was posted in a finished eBay listing and a Russian YouTube video). 3 are owned by members of Lego forums, and one is owned by someone who made a YouTube video. Other than that, rigorous posting of wanted ad posts on any forum possible would be the best bet. ..Or contact LEGO CS asking for the replacement head? I believe that the set is discontinued, so they still have one, but it's a long shot. They may also mistake the regular head for the one you want. True, but if you cannot find them easily anywhere else, what is the harm? Plus If I read right, it is not really known where the head comes from anyway? You could get the head that BL shows is from 10672, but you could also get one of these other ones, right? Yeah, trying to locate one on BL is also a very good idea. 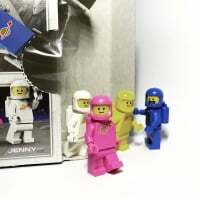 What happened to those poor minifigures? They're all...wrong somehow. I can't quite put my finger on it. :). 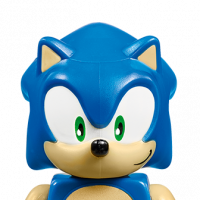 Where did you get so many misprinted heads? 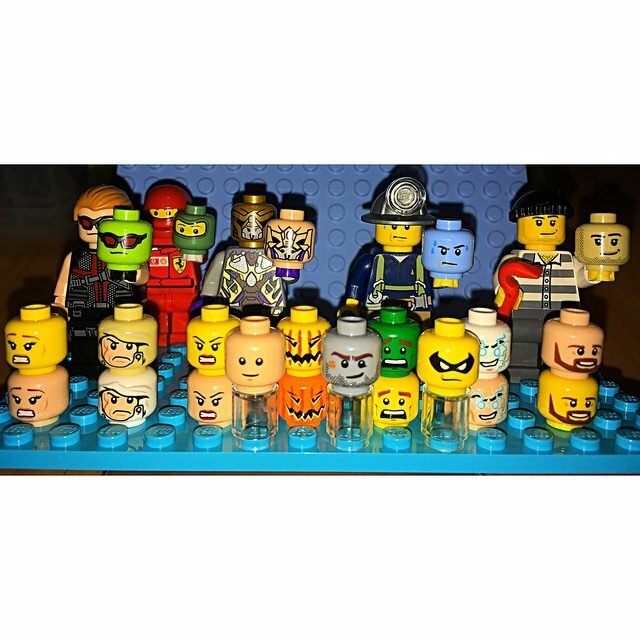 Yeah, those minifigure heads. That's just freaky. You are a Head Hunter!